One of the things i think about a lot (apart from kids, life, fashion etc.) is recycling. I worry about how much waste we produce - it bugs me so much when i take apart packaging to find part of it marked with a 'not currently recyclable' what...? why not? that we are still using, manufacturing and then wasting all this material and plastic that has had such a short life is insane. I believe, like every industry the fashion industry has to be challenged and accountable for the waste and environmental effects it has on this planet. It has to be responsible for the people who work in that industry and ensure that what they are doing is sustainable. I also believe that consumers need to be aware and better informed of where and how their clothes are produced. The film The True Cost is a film that explores the cost of the fashion industry on people and the planet. There are a few brands that are pioneering new fabrics, who ensure fair trade working conditions and that aren't compromising style. One of those is Deborah Campbell Atelier who among other things has launched a collection of dresses and tops made from Newlife fabric, which is an Italian yarn manufactured from recycled plastic bottles. I recently got this blue top from her and i love it - its super soft, fits perfectly and individual. 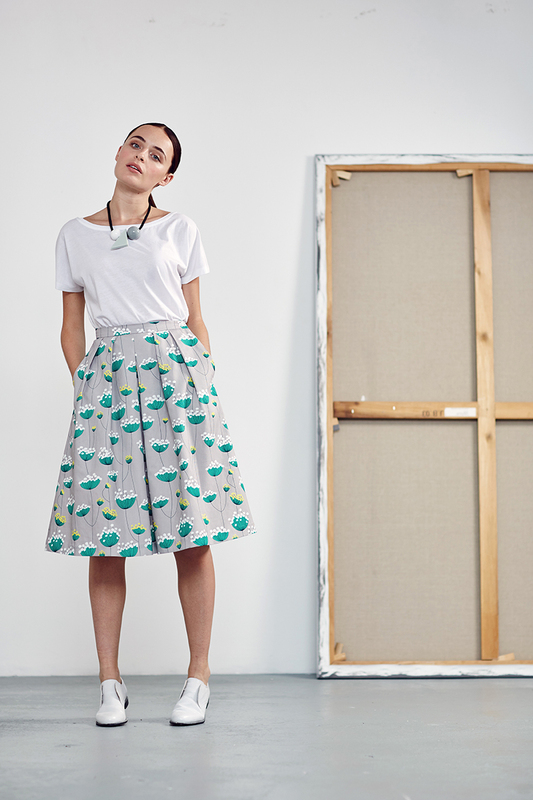 WHY WAS IT CREATED: To offer a British made sustainable fashion line that was contemporary, smart and print driven. WHAT WE NEED TO KNOW ABOUT YOUR BRAND: Deborah Campbell Atelier is a British made ethical womenswear label - fashion with a season-less edge. We support local communities and responsible design is our mission. We draw on the great British heritage of high quality fashion manufacturing. The collections foundation is in print exclusively designed at DCA and inspired by art and nature. Our abstract prints are unique to each garment through cut and style. Pieces intended to form a narrative of love and longevity, with an easy wear aesthetic. WHAT WE SHOULD BUY FROM YOU: Our Isabelle shift dress and top are made from recycled plastic bottles, we believe recycled fabric is pioneering and something for the future and would love our customers to embrace it. It’s washable at 40 degrees, durable and our abstract prints make it unique. Each style is cut so no two dresses or tops are the same, your very own customised item! By buying from DCA you will be supporting the British economy, and a startup striving to make a difference in fashion.